And they have a new one on the way, the 244. It’s in the spirit of fellowship between our two great nations that I use the word “new,” of course. The 244 is, in fact, a very slightly rounder version of the venerable 144, a car that has appealed to sandal-wearing feminists and bearded communists ever since King Edward the Fifth reigned over this Sceptred Isle. It comes in six versions, all of them the same: DL, LD, D, L and GL. That’s Swedish socialism for you! We travelled with SAS to Stockholm one sunny morning in June only to arrive in the midst of typical Swedish summer weather: rain and fog obscuring the retreating snows of May. Volvo’s press wallah, Gunner Jenssen, greeted us at the airport and took us in a taxi to our hotel where a long presentation took place over breakfast of herring, herring and sild with some schnapps to warm us up. The main points to interest motorists will be that the Swedes are pursuing their obsession with safety even further. I’d say the best way to ensure one’s safety in a car is to avoid getting in one in the first place. The Swedes’ view is to accept that if one must be in a car then make sure the car as is as joyless as possible. They’re on a hiding to nothing with this safety lark, in my view. It’s one thing to improve such things as brakes but these safety-belts are a nuisance. I can´t imagine ladies wanting to crease their blouses by using such contraptions. And they are fiddly to deploy, especially if one has been raising one’s elbow. The other worry is that once these things are fitted it’s only a matter of time before some fussy politician-type insists we all wear them. I digress. You won´t catch me wearing them. For all its talk about safety Volvo needs to do something about the annoying buzzing that sounded continuously throughout the test. There was a flashing red light on the dashboard indicating some fault but I never found out what it referred to. Engine oil pressure and water temperature stayed normal, even as we reached the giddy speed of 58 miles per hour which is all that is possible on Sweden’s amazingly winding but boring roads. We set off into a warren of Swedish slip-roads, roundabouts and industrial estates which make up the bulk of Stockholm. The rest is forest. Much thought has gone into the seating inside the 244 which features a novel device for varying the support to the lower back. It was while fiddling with this that I managed to drive the car over a grassy mound in the middle of another roundabout lost in Stockholm’s thick fog. Nobody seems to live in Sweden so there was no one around to crash into. Thus I survived this mishap unscathed. Once I’d pulled some leaves out of the grille there was no sign of my adventure. The good news is that the 244 changes direction. One simply rotates the ungainly rubber-coated steering wheel and after a spell the view out the front window gradually swivels. Rack and pinion technology has been used here in some form. The engine is the B20A four-pot device based on an original drawing by Thomas Stephenson. It struggles to pull the 244 from rest which, I suppose, would be another safety innovation of sorts. Volvo aren’t short of steel and so the 240 is made with the thickest variety this side of a Clyde shipyard. Even the ashtray looked capable of withstanding a bomb attack so should the worst happen and you do have a prang, you need not worry for the safety of your cigarette ash. I didn’t notice any difference between driving over official road surfaces or the unmetalled sections of our forest stages. The ride was uniformly bad. This might be a kind of compliment to the method of suspension deployed in the 244. We drove for 190 lumpy miles through dark forests north of Stockholm and stopped at some traffic lights to have lunch of tinned fish. Yes, that tinned fish. Our tame photographer opened the tin, releasing a smell akin to raw sewage on a hot day in the Punjab. Within minutes the car was filled with a swarm of blue-bottles of such lush greasy blackness and immense size as to inspire fear and horror. It was as if there was a dead elk in the passenger seat and not a 12 oz tin of fish. There was no choice to but to leave the car as we simply could not drive with the cabin thronging with these disgusting insects. All in all, the Volvo 244 seems to be the very embodiment of the Swede’s collective aversion to risk, a car with every entertainment ironed out and no opportunity missed to remove any possibility of motoring pleasure, other than the mildest feeling of contentment derived from driving something able to withstand an 58 mph impact. In fact, I would contend that the main point of the car is to make that rotten fish seem like a pleasant alternative to driving this stolid, solid slab of Swedish steel. Thanks to all those from TTAC who dropped by! Whoever wrote it I believe his name may have been Richard Harriet did not understand the car that he was privileged enough to be reviewing. 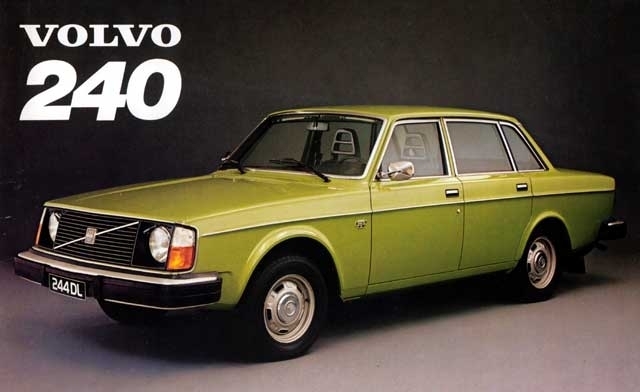 the Volvo 200 series was one of the best cars of It’s Time Powerful luxurious ultimately reliable with a ride that was only rivalled by Mercedes in that segment. it set new standards in car safety and became world-renowned for saving possibly tens of thousands of lives including my own. I find it astonishing that the reviewer didn’t even comprehend what the red light on the dashboard was telling him it was telling him that his life was at risk if he did not wear his seatbelt had he of clunk clicked the red light on the audible buzzing sound would have gone off and he would have been much safer on his journey. you could also fit half the house in the back of the estate version the Volvo 245 , they also had a turning circle that could be compared with a London cab. 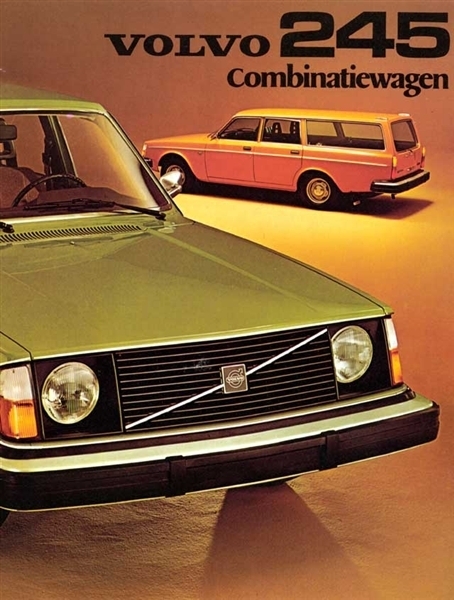 These Volvo were way ahead of their time extremely well Thought Out with a lot of foresight and more than anything the highest respect for preserving human life over profit and cache. Well done Volvo the 200 series has now become a legend. Thanks for your comment. 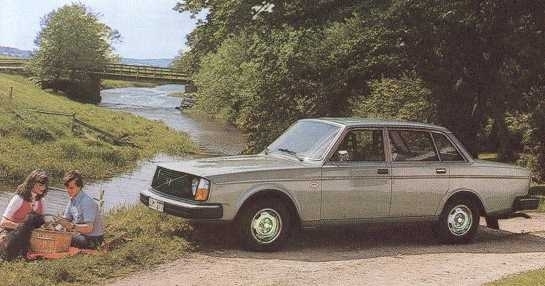 Factually, you are quite correct about the Volvo 200-series. My dad had a late model and it was, without a doubt, the best car he had out of the ten I am aware of (Rover, Triumph, Mercedes, another two Volvos etc). The article is supposedly a transcription of a period review by legendary motoring scribe Archie Vicar and I invite you to have a read of the others which will put Archie Vicar’s style and attitude in context.